NX 12 Tutorial is written to help new users to learn the basics of NX and some advanced solid modeling techniques. 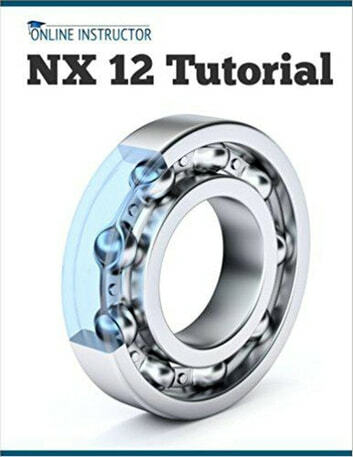 The Author guides readers through NX 12 with clear and step-by-step tutorials that help you to design solid models from day one. The first four chapters of this book cover the user interface, part modeling, assemblies, and drawings. After learning the basics, you can learn additional sketching tools, feature modeling tools, expressions, sheet metal modeling, some advanced assembly techniques, drawing annotations, simulation basics, product manufacturing information, and rendering.